To start with, I will say you should think of buying a high-quality durable micro USB cable for your mobile devices as soon as you get the means. 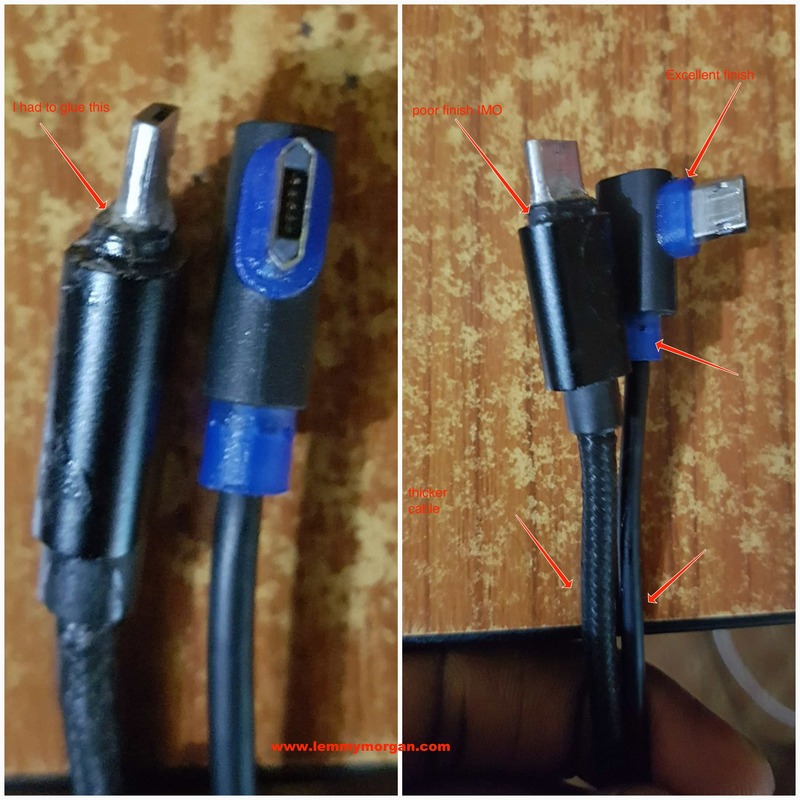 I am imploring you not to wait until your stock / OEM proprietary micro USB cable get damaged. I am currently using a 10ft(which is longer than the tallest men in the world) reversible USB type A micro USB cable. Undoubtedly, I have seen it all. I have seen and used the manufacturer’s proprietary cables, knock off cables, durable one-way micro USB cable and now a durable, reversible and long micro USB cable. Typically, a good aftermarket micro USB cable will charge your phone faster. When you choose the best aftermarket micro USB cables, you will realise that it is more durable the existing one. You have more options for length with a good aftermarket USB cable. All the inconveniences of using an OEM are solved with a good aftermarket USB cable. You will have more confidence using your phone while charging it. Your charging port can be damaged. 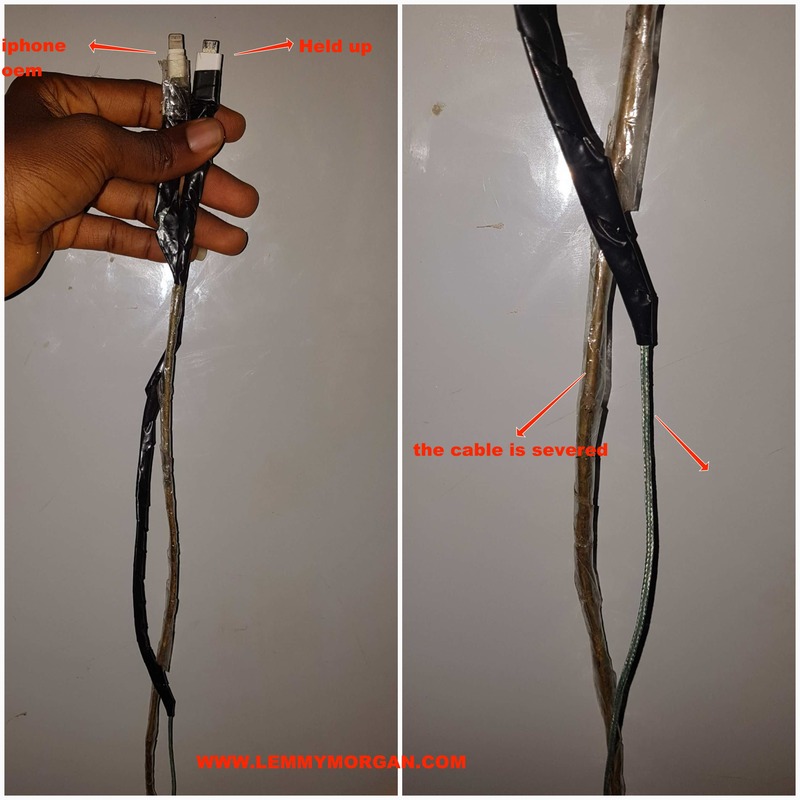 Device overheating or explosion: A bad cable can cause overheating and can even cause the device to go up in flames if you are using it while charging. Electric shock: The cable may be exposed like the one in the picture I uploaded above. If this happens, you can isolate electric shock. Bloated battery: when the wrong amount of current is being supplied, every thing but positive will happen to your battery. Your phone may be discharging or under charge. The mobile phone may act up while charging: Have you wonder while some app stop working all because you plug in a charger? well, this might be the culprit. In theory, you will think the thick one should last longer. I mean it has an appearance with thick braided-nylon fibre jacket which is sturdier than the normal cable. In reality, this is not the case. The one-way cable I got it has a very durable cable but a flawed connector. Within a few months, the connector starter coming up and I had to glue it. I got the reversible cable and it has been joy all the way for the following reasons specifically. You can be sure not to worry about the connector’s teeth sticking in or becoming inelastic. Avoid costly damage to you phone’s charging port with a reversible. The one I got actually has a better TPE Material which is softer than PVC material(used by your phone manufacturers) and it recovers to its original for faster after folded,anti-stretching, anti-bending, highly-flexible and tangle-free properties. I also bought the one that is longer. I can now drag my phone along everywhere I go within my room. this cable is way taller than me. I will not want you, my dear readers, to jump from frying pan to fire when shopping for your reversible USB cable. 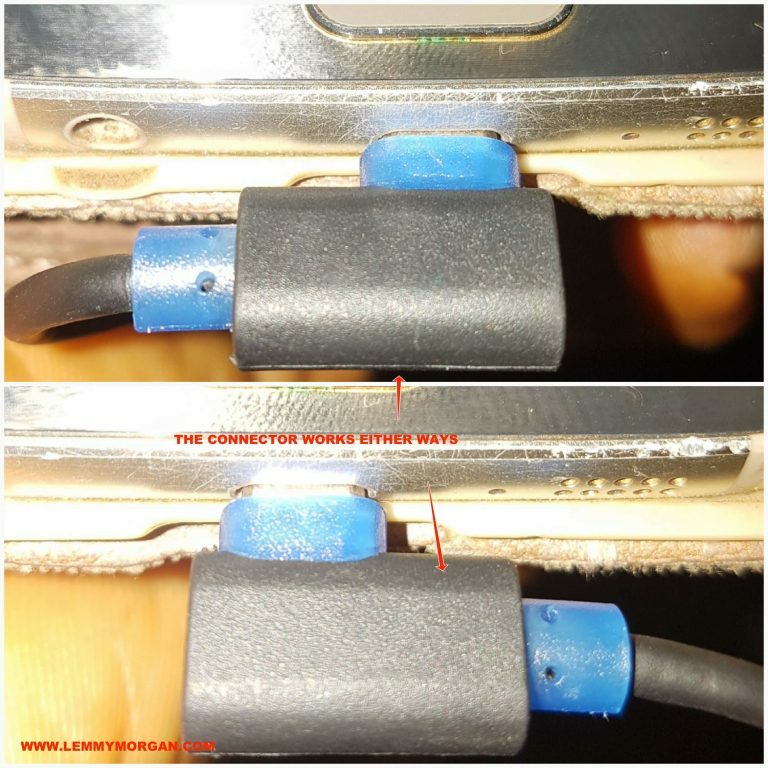 I the opposite direction, Apple has been using the reversible connector technology with their devices for years. There is no popular android phone manufacturer that has followed suit yet. Even Samsung did not ship the s8 with a reversible cable. Also, you can also get an aftermarket lighting cable for your iOS device that is more durable and will charge your phone faster.